Lacks Enterprises, Inc. manufactures parts for the automotive market. It offers a range of decorated components and systems, which include automotive grilles; and exterior trim, such as decklid appliques, fender vent moldings, and truck bed rail protection for OEMs in the exterior automotive trim market. The company also provides automotive interior trim, including door spears, HVAC bezels, center stack bezels, cup holder bezels, steering wheel bezels, and instrument cluster bezels; roof rail trim, which includes grilles, wheels, handles, and rocker panels; and appliance trim for the retail appliance industry. In addition, it offers composite wheel systems, such as Chromtec and hybrid wheels. The company offers its products in the United States and internationally. The company was founded in 1961 and is based in Grand Rapids, Michigan with facilities in North America and Europe. The Empire Company, Inc. manufactures and distributes manufacturing and distribution company in the United States. It offers molding products, including polyurethane flexible molding cuts and cover trims; stair parts, such as zip bolts; boards, including hardwood and softwood boards, and PVC boards and sheets; and columns. The company was founded in 1946 and is headquartered in Zeeland, Michigan. The Empire Company, Inc. operates as a subsidiary of Tenon Limited. LECO Corporation, founded in 1936 by Carl Schultz and George Krasl, operates its analytical instrumentation research and development, and manufacturing from its headquarters located in St. Joseph, Michigan. LECO develops and manufactures elemental measurement and molecular Time-of-flight mass spectrometry instrumentation, following ISO 9000 standards. The LECO trademark is an acronym of the original name, Laboratory Equipment Corporation. Lotus International Company manufactures, integrates, tests, and supplies electronic and electro-mechanical assemblies and modules for the consumer electronics and automotive industries. It offers liquid crystal display (LCD) panel repair services, including LCD module and open cell repair, tape-automatic-bonding and chip-on-glass bonding, POL replacement, and repackaging; LCD TV assembly and contract manufacturing services, such as inspection, packaging, procurement, logistics and assembly, testing, and final delivery; reverse logistics and asset recovery solutions; assembly and integration services for automotive cockpit/interior electronics; electronics integration and product testing services for customer-specific requirements; and customer and warranty support services. The company was founded in 1991 and is headquartered in Canton, Michigan. Fusion Coolant Systems provides advanced coolant and lubrication systems. Ritter Construction Company, an oil and gas industry services contractor, provides gathering and main line pipeline system, well location, station, and compressor station construction services. It also offers fabrication, well site hookup, pipeline rehabilitation, contaminated soil remediation, hydrostatic pressure testing, oil field maintenance, and lease road construction and maintenance services. The company was incorporated in 2004 and is based in Carthage, Texas. As of August 26, 2014, Ritter Construction Company operates as a subsidiary of US Shale Solutions, Inc.
Fabri-Kal is a United States company. It is the sixth largest thermoformer in North America and is a leading provider of plastic foodservice and custom thermoformed packaging solutions. Niles Precision Company--Aerospace Components and Assembly manufacturer. Industries Best Extrusion Heating and Handling Equipment. Isuzu Motors America, LLC engages in the distribution of Isuzu diesel engines for on-and off-road applications in North America. It offers diesel engines through a network of distributors and authorized service dealers in North America. The company was founded in 1975 and is based in Plymouth, Michigan. Isuzu Motors America, LLC operates as a subsidiary of Isuzu North America Corporation. Form Tech provides industry best concrete forming and shoring systems. Excellent products and top notch support, contact us for a quote today! Manufacturer of sheet metal joining systems and products for automation. PRAB, Inc. will provide our customers with superior solutions to their material handling requirements by having excellent application knowledge, equipment, customer service and support. Designers & manufacturers of electromechanical devices; fuel components for gas & diesel engines, clutch & hydraulic coils, solenoids, & more. Founded in 1974, Magic Steel Sales is a multi-site steel service center that supplies cold rolled, hot rolled and coated products. SAFARI CIRCUITS is scalable to meet the needs of most any product and controlled to meet the regulatory demands of medical, industrial, instrumentation, and automotive-aftermarket markets. Call us now! At Hemlock Semiconductor Group (HSC), our focus is on safe and sustainable polysilicon production for semiconductors and photovoltaics. Utica Enterprises, Inc. builds machine tools for factory automation industry. It manufactures welding equipment, special machines, piercing equipment, and auto equipment/parts. The company provides metalworking services. It manufactures and custom designs remote laser welding systems. Utica offers engineering services, and manufacturing equipment and systems, such as assembly equipment, finishing and painting, joining, material handling, and robots and vision systems. The company was incorporated in 1977 and is based in Troy, Michigan. MotorGuide offers an extensive line of trolling motors & trolling motor accessories. MotorGuide is the leading provider of fishing motors. National Galvanizing L.P. engages in pickling, galvanizing, galvannealing, and slitting coils. It offers its solutions for automotive, agricultural, structural, roll form, garage door hardware, tubing, and conduit applications. National Galvanizing L.P. was incorporated in 1983 and is based in Monroe, Michigan. Harlo Corp., a Minority Owned Business, owns and operates a diverse group of companies headquartered in Grandville, MI. As a company with a strong background based on family values, we have built and grown on the ideas and hard work of our employees. With the support of CTB, Inc. and Berkshire Hathaway, we're ready to continue building towards a bright future. plymouthsteel.com is your first and best source for all of the information you're looking for. From general topics to more of what you would expect to find here, plymouthsteel.com has it all. We hope you find what you are searching for! Learn more about Ervin Industries, our products, and our technology on our website. We are dedicated to providing high-grade abrasive blasting materials. NAI is a company that designs and manufactures integrated connectivity solutions for Industrial Technology, Medical, Telecom and Data industries. They have been providing the global marketplace with world class manufacturing solutions for many years. Their custom interconnect solutions inspire confidence among their valued customers. Trusted since 1904, Besser is the leading manufacturer for quality concrete products equipment. PVS Chemicals, Inc. is a global manufacturer, distributor and marketer of basic chemicals and related environmental and hazardous materials transportation services with a focus on Responsible Care and safety. Richards Building Supply is the one place where you can meet all your building material needs. We use materials from only the very best-in-class manufacturers. Westbrook Engineering, buying and selling new and used fabricating machinery since 1964! Shears, press brakes, cold saws, band saws, lasers, water jets, drills, mills, grinders, rolls, presses & more! Hurco CNC Machines. Mills and Lathes. High Speed and 5-Axis Machining Centers. Grede Holdings LLC develops, manufactures, and supplies ductile, gray, and specialty iron castings and machined components for automotive, heavy truck, agriculture, construction, rail, and wind energy applications. The company offers frame attachments, fuel delivery components, and others for medium and heavy trucks; ferrous castings and machined/assembled components for diesel engines; and brakes, chassis, suspension, and power train components for light vehicles. It also provides iron and aluminum machined components for off-highway machines; nacelle brackets, support blocks, and yaw brake components for wind energy; plates, suspension components, brackets, braking parts, hubs, and others for rail market; and metal components for various other industrial clients. In addition, the company offers light weighting, machining and assembly, engineering, and supply chain management services; and operates a store that offers clothing and other items. It serves Fortune 500 customers in North America, Japan, Europe, and internationally. 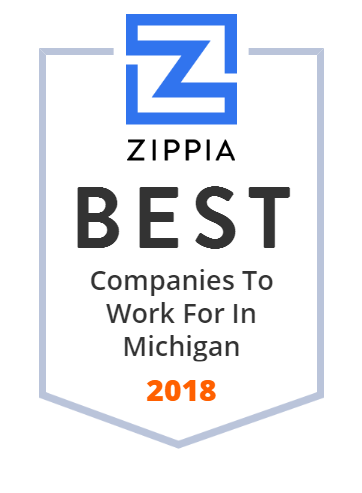 The company was founded in 2010 and is based in Southfield, Michigan with professional offices in Menomonee Falls, Wisconsin; and Bessemer, Alabama. It also has foundry machining, and foam pattern locations in Bessemer, Brewton, and Columbiana, Alabama; Berlin, Browntown, Liberty, Reedsburg, Menomonee falls, and Oconomowoc, Wisconsin; Biscoe, North Carolina; Iron Mountain, Michigan; New Castle, Indiana; St. Cloud, Minnesota; and Novocast and Teknik, Mexico. As of August 4, 2014, Grede Holdings LLC operates as a subsidiary of Metaldyne Performance Group Inc.
Besse Forest Products Group - manufacturer of high quality hardwood veneer, lumber, and specialty plywood for world markets. Since 1984, Mol-Son has specialized in designing and building close tolerance precision tooling.